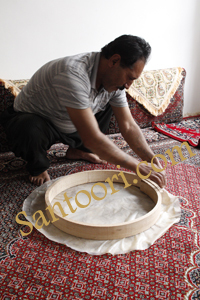 Santoori in search of authentic Khaneghahi Dafs containing a double layer frame, which has been called Do-Kamaane (double framed), reached his goal in offering the best Daf no. 1 Special Order made in Kurdistan. The original type of these Dafs in the case of existence are at least 20 years old. 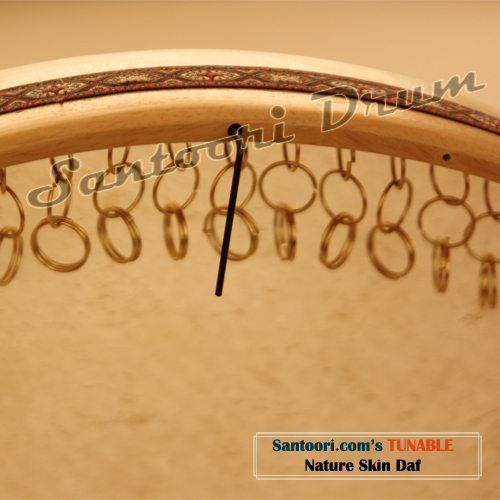 In order to produce perfect instruments Pooyan cared about very especial skins (Santoori Daf skins) and on 20. November 2011 Pooyan traveled to Kurdistan and handed over this skins to our diverse Daf makers in Iranian Kurdistan. The upcoming Dafs will have the dimensions of old Khaneghahi Daf but they are made by one piece wood (one layer). The width is around 6,5 cm, the diameter is 55 cm. Now the special Santoori selected skins for providing Khaneghahi Dafs (Original Sufi Daf instruments) stood up the travel from Germany to Kurdistan. The Sufi Daf style in the original form has been unfortunately forgotten. Through getting popular the original shape of Sufi (Khaneghahi) Daf has changed in matter of thickness and width of frame. 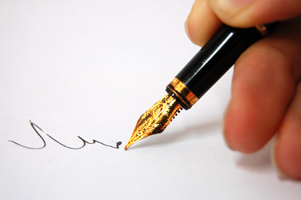 The new Dafs which are common today are thinner in frame and width only because of getting lighter for being played by women and men for longer time. Santoori now offers his product no. 1s - Santoori Daf Special Order - in limited quantities after his sophisticated multiple quality controls.